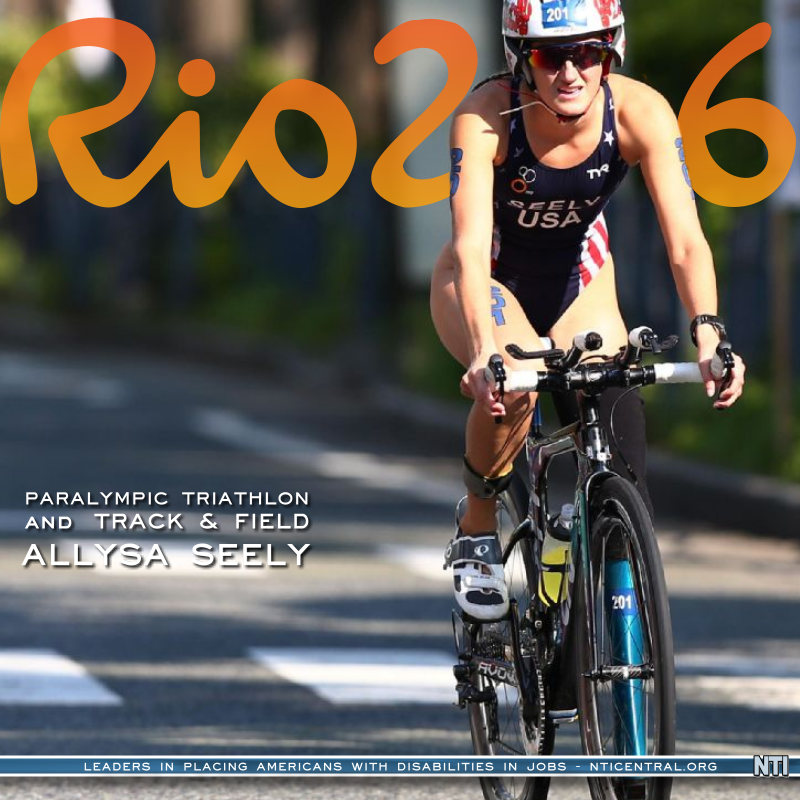 In 2010, Seely was diagnosed with Chiari II malformation as well as Ehlers-Danlos syndrome. Chiari II malformation is when the cerebellum and brain stem are outside of the skull as well as in the spinal column. Ehlers-Danlos syndrome is a disorder that affects the connective tissue that provides strength and elasticity to the underlying structures in your body such as your skin, joints, and blood vessels. In addition, her spine is angled on an arc, leading to what is called a basilar invagination. The combination of disorders and complications during treatment eventually led to the amputation of her leg. Also, since her brain is affected, the body is affected as well. She suffers the symptoms of proprioception, in which the body is unable to tell your body where it is, similar to when your leg falls asleep and epilepsy. Despite the complications, Allysa is an accomplished athlete. Allysa pushes herself and trains several days a week to get herself in the shape to compete at a professional level. 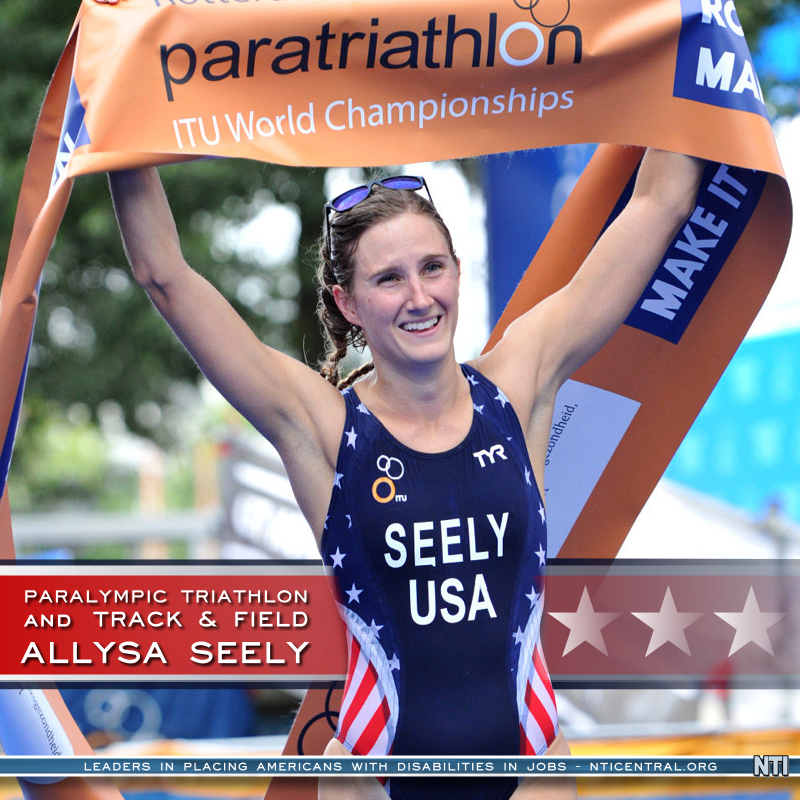 This determination has led Seely on the Road to Rio to compete in Trackand Field and the Paratriathelon. That is no easy feat regardless of disability. 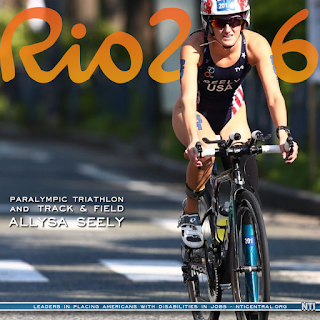 Allysa also has the opportunity to advocate on behalf of individuals with disabilities on a worldwide scale and not only inspire those with disabilities, but put up a valiant battle toward the stigma surrounding disability and disabled sports. Her results do the speaking for her, she has finished the 5K, in 17:21 and is a Paratriathlete World Champion. Sometimes you feel the struggles of disability and feel as if you can't succeed. You can. Just like a paralympic athlete, it involves adaptation, training, mentoring, a positive attitude, support, determination and the love of those around you. At NTI we help Americans with Disabilities and Disabled Veterans back into the workplace. We mentor, train and provide opportunities with Fortune 500 companies nationwide. Sometimes it may seem scary to come back to work once again and grow your life, but with the right support system, you can do it. Contact NTI to start your track to support and success at www.nticentral.org/learnmore.